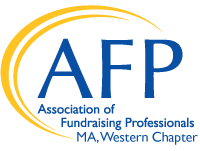 The AFP Western MA Chapter is a great place to meet and network with colleagues. Visit our Chapter Event Calendar for information on our next meeting. Visit the membership information page for more information on the benefits of being a member of our international organization or contact Diane Dukette, AFP Membership Chair.